Plants instantly change a space and make it warm and welcoming. While the traditional ceramic pot is always an option, there are many other ways to incorporate plants into interior spaces and, at the same time, turn planters into elements of decor. 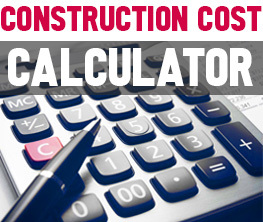 Here are a few ingenious ways to bring in the green in 2016. 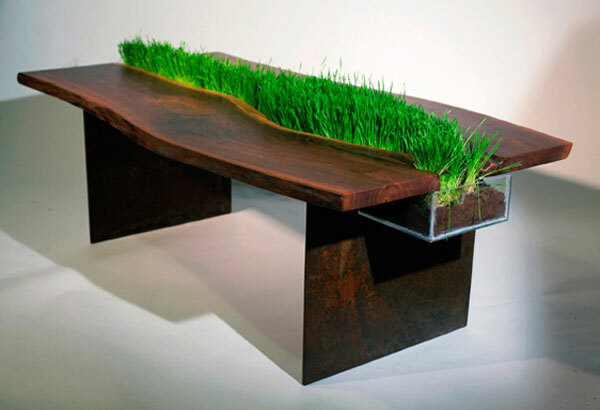 Created by Los Angeles designer Cora Neil, the Hedge collection addresses city dwellers’ need for green space. With a simple, clean geometry that compliments urban decors, the planters can be suspended or mounted on walls to create an interior garden, while they add to the colors and architecture of the space. 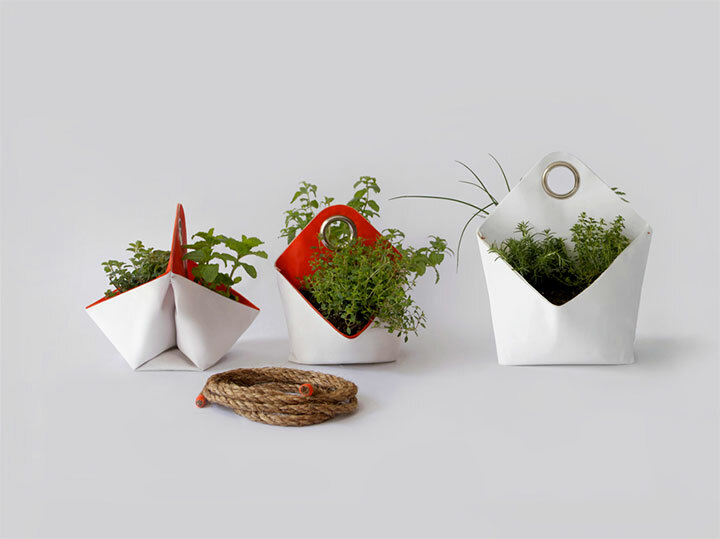 Another answer to the problem of limited space comes in the form of the Nomad portable herb planter from The Garden Apartment, a versatile container made of boat sail fabric. 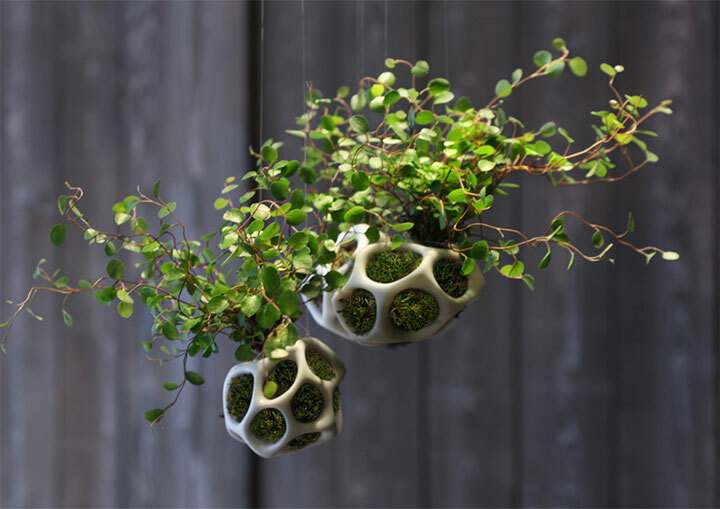 The planter is perfectly adapted to any placement: with two sides and an eyelet, it can be suspended, hung or placed on a flat surface. 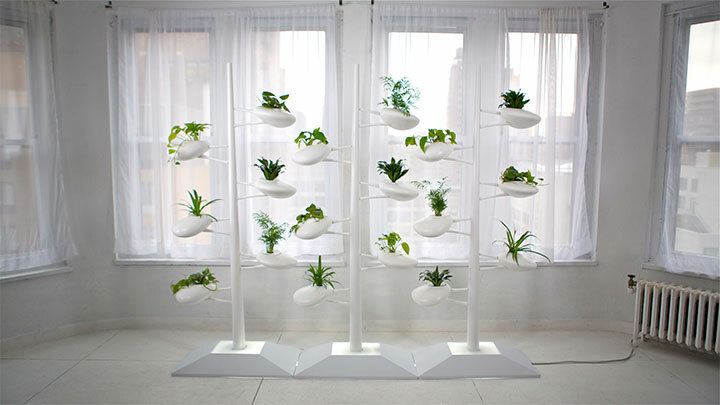 Interior gardens can become room dividers with the vertical hydroponic planter by Danielle Trofe. 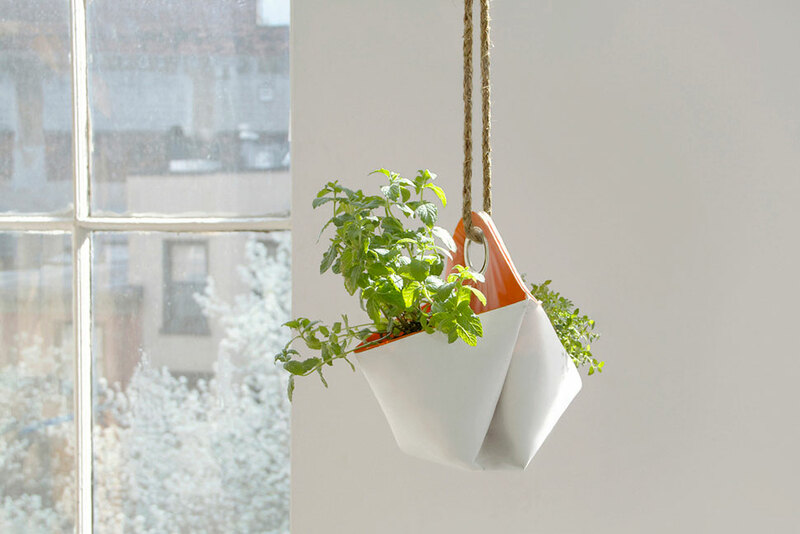 Its self-watering system makes growing plants possible for those who lack a green thumb. 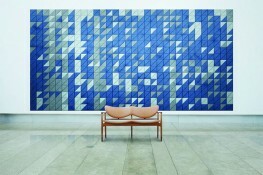 Cella from Ecoid is an interesting concept that takes versatility to new heights. 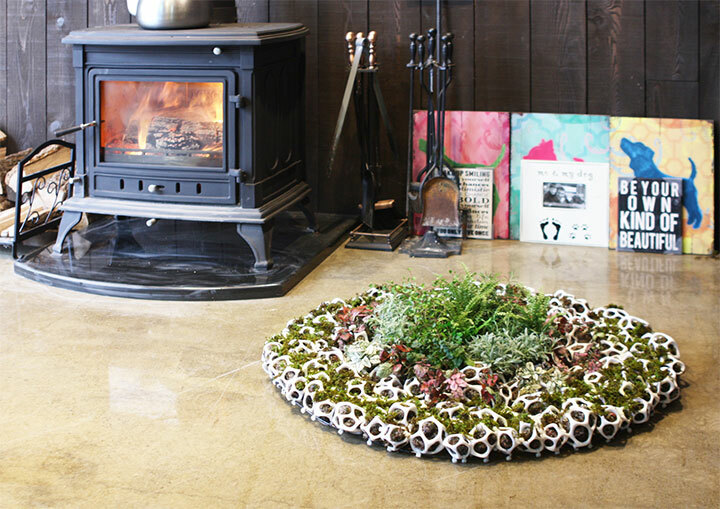 The plastic planters are designed to create a perfect microclimate for growing moss or small plants. Available in different sizes, the plastic planters can be arranged in groups and are an excellent decorating tool for those who want to create unique spaces. Cella planters make even outdoor landscaping an option for indoor decors. The Monstera plant pots by Dutch designer Tim van den Weerd proves that plants do not have to be relegated to a wall, table or windowsill. With elongated “roots” that retain a fragile, graceful appearance despite the fact that their steel structure makes them remarkably strong, the pots turn plants from simple elements of decor into veritable “inhabitants” of a space. 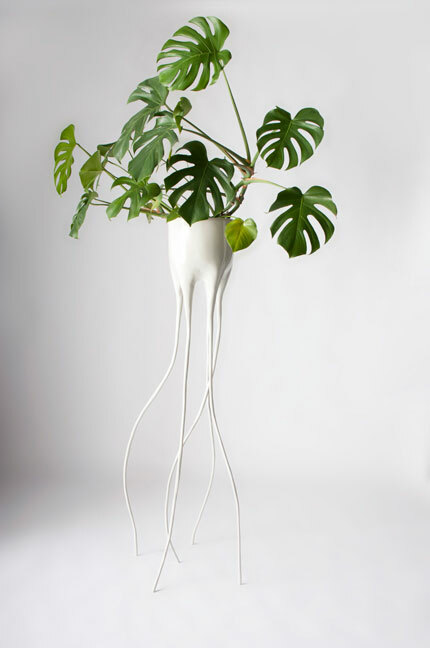 While the “roots” of the Monstera plant pots may look like legs that lend plants a mobility they lack by nature, Matteo Cibic does not leave any room for guessing. 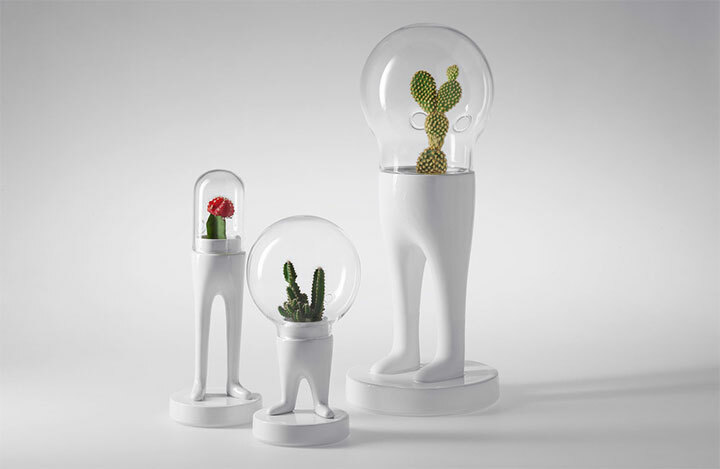 The Domsai half-humanized terrariums are made of ceramic, with a glass dome on top that houses smaller or larger plants. Finally, why should plants sit on a table, when they can become part of it? Brooklyn-based designer Emily Wettstein took the two elements and merged them into one. Her table planter makes all worries about plant placement unnecessary.